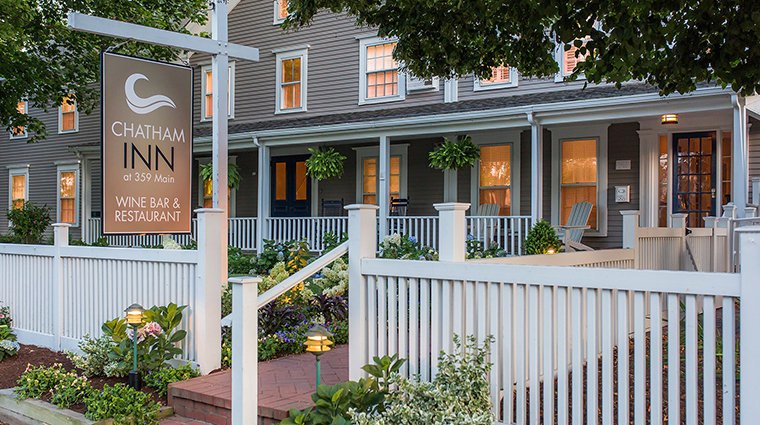 While Chatham Inn, a Federal-style property in Chatham, Massachusetts, was built in the early 1800s, the 18-room inn has been thoroughly renovated and updated on the inside. 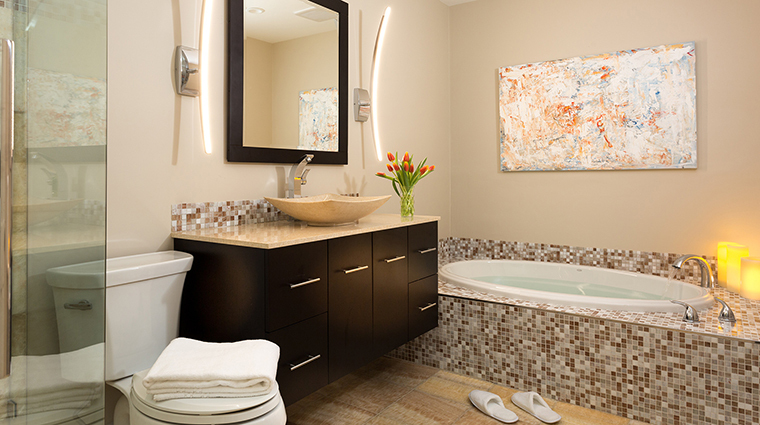 The décor, with lots of whites and soothing coastal colors, is punctuated with original art throughout the hotel. 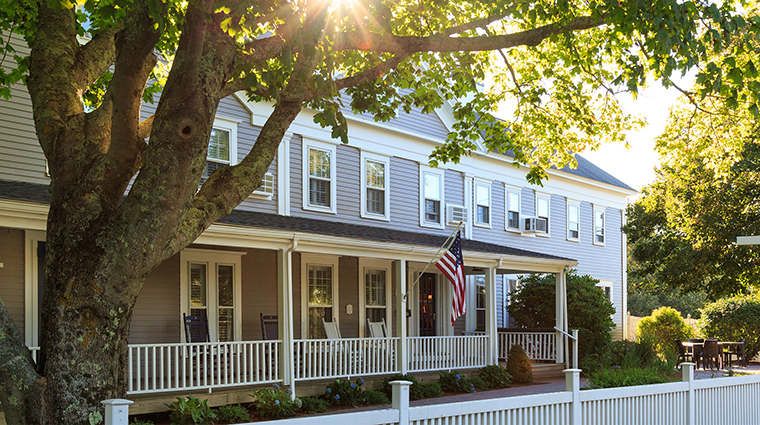 It’s a tasteful New England escape. 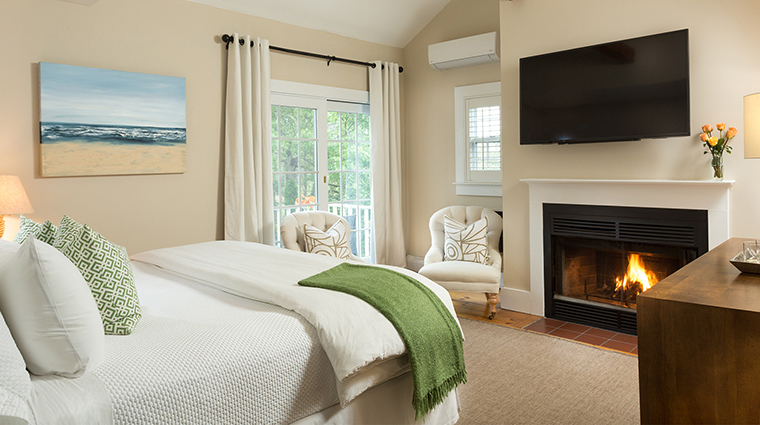 Accommodations are bright, airy and inviting with wide-plank wood floors. 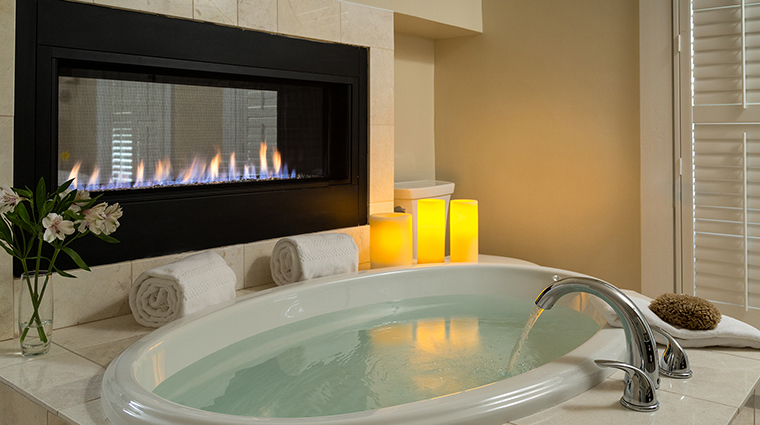 Some have added amenities, like wood-burning fireplaces, balconies, two-person tubs and minifridges. 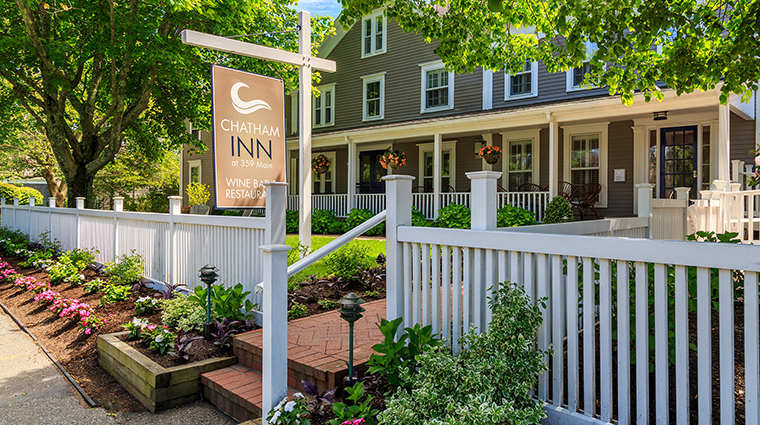 The inn is ideally located near Chatham’s quintessential Main Street, so you can leave your car parked and roam around the charming shops on foot. 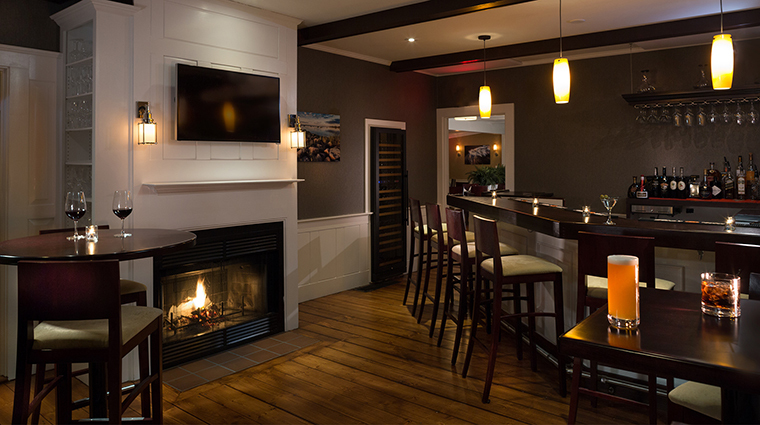 It’s easy enough to simply while away an afternoon at the hotel, too, which has a lovely large patio with a fire pit, a wide porch with rocking chairs, a hip wine bar with about two dozen wines by the glass, and indoor common spaces with fireplaces. 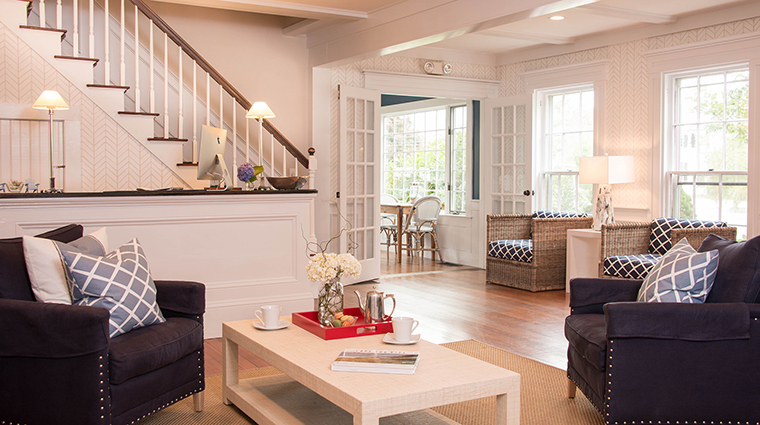 Upon check-in, you are greeted in fine Cape Cod style, with a cranberry champagne cocktail. 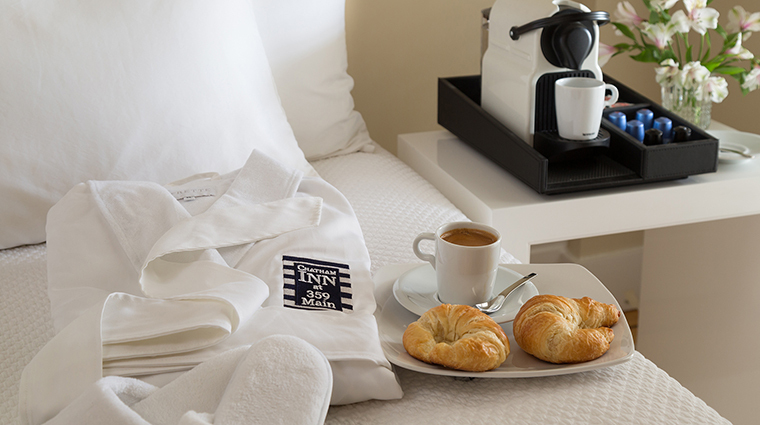 Breakfast, which is included with your stay, is not the typical continental spread. Made-to-order items like crab cakes benedict and a vegetable-packed egg white frittata, as well as coffee, juice and other breakfast favorites, are available. 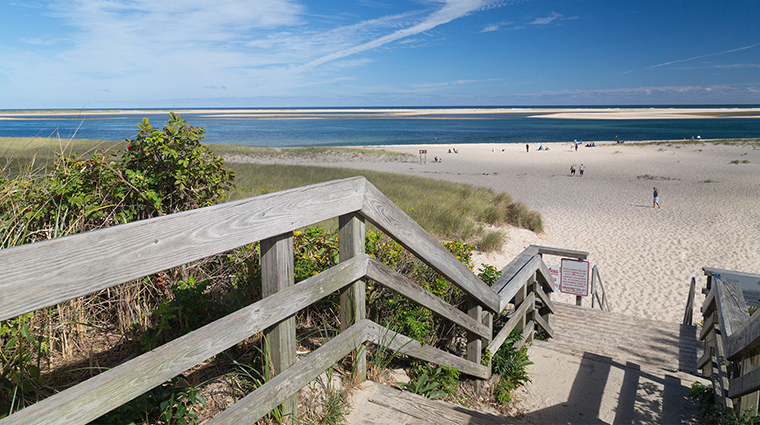 The location, just 10 minutes from downtown Chatham and a 12-minute walk to Chatham Lighthouse Beach, can’t be beat. The inn’s chic wine bar is immensely popular with guests and locals alike, offering a small, but robust list of just over 100 bottles and a distinctive selection of specialty cocktails. 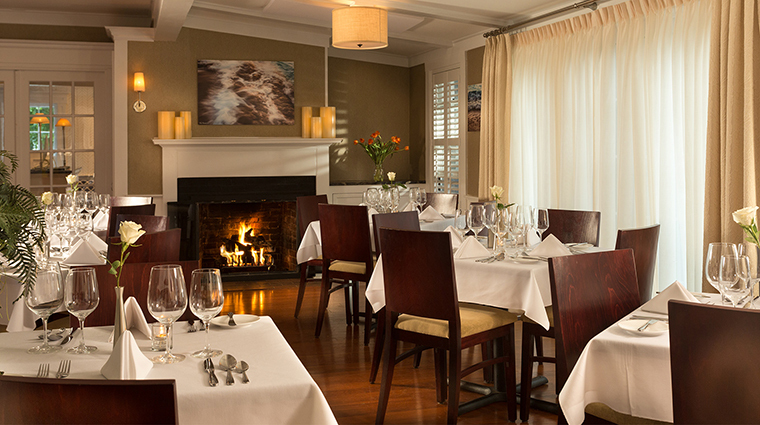 Original artwork throughout the Cape Cod hotel was created by local artists and can be purchased. While there are no visible price tags, if you see something you like, just ask at the desk if it’s for sale. 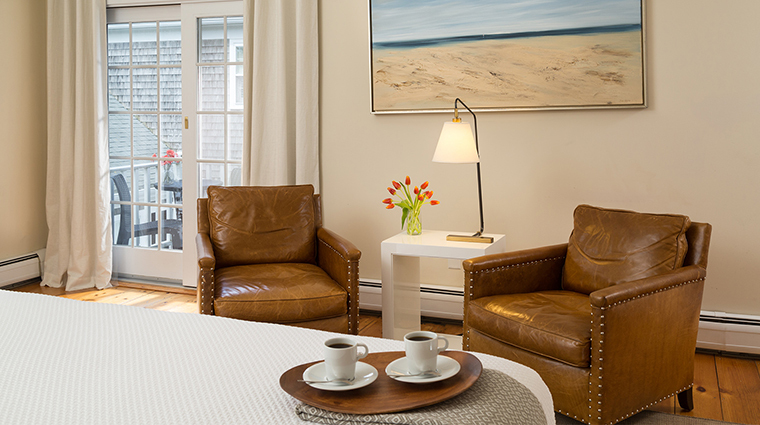 The inn thoughtfully provides fluffy towels, backpack beach chairs and sunscreen for guests. While the charming inn makes for a great year-round escape, the best times to visit are in the fall and winter. The hotel annually sponsors Chatham’s Oktoberfest celebration as well as the town’s Christmas Stroll Weekend, when the area is covered in twinkling lights. To maintain the romantic ambience of the hotel, children under 12 are prohibited. 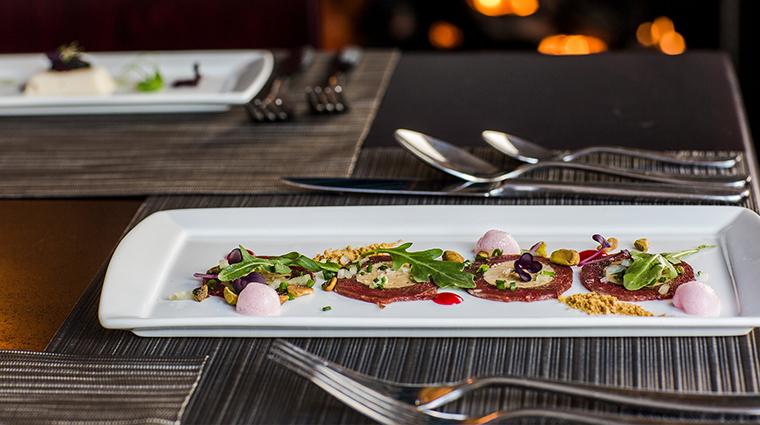 Check the inn’s website for special events, like its annual Celebrity Food & Wine. In 2017, Rock Harper, who won season three of Hell’s Kitchen, was the featured chef and served a seven-course dinner. 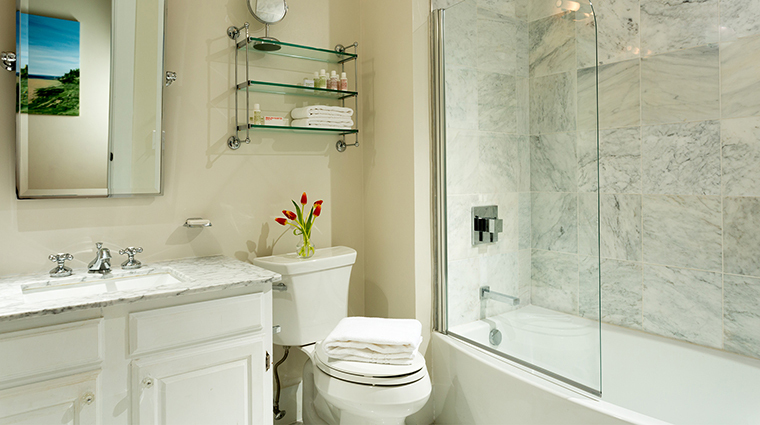 Top-of-the-line room amenities include bed linens, pillows and duvets by Matouk and Comphy; bath products by Malin and Goetz; Nespresso coffee machines; flat-screen televisions with DirecTV; and towels, robes and slippers by Frette. Love a romantic fireplace? Book room 2, 3, 7, 11, 12, 16, 17, 18 or 19 to enjoy a real crackling wood fire. 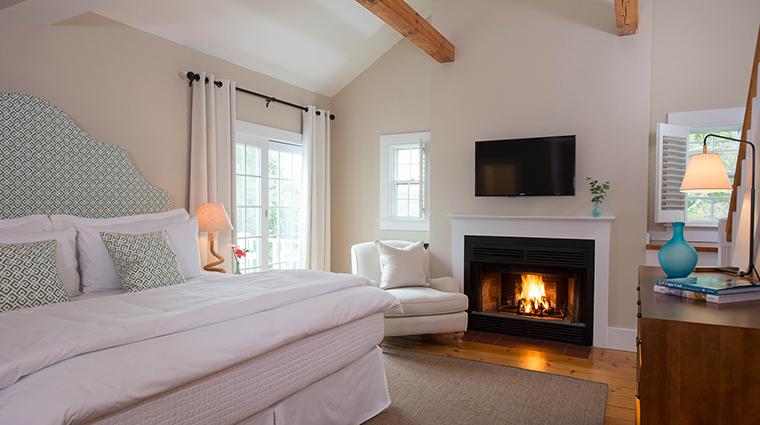 Room 7 has a two-sided fireplace that you can admire from the bedroom and the two-person tub in the bathroom. Request room 2, 3, 11 or 12 for your own private outdoor balcony or patio complete with a bistro table and chairs for enjoying your complimentary breakfast. 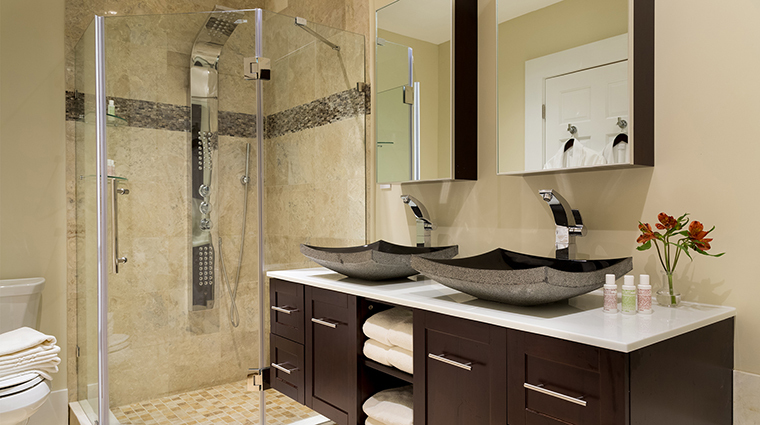 In 2017, all of the marble bathrooms were renovated and now sport luxurious spa showers with body jets, while some offer spacious two-person tubs. 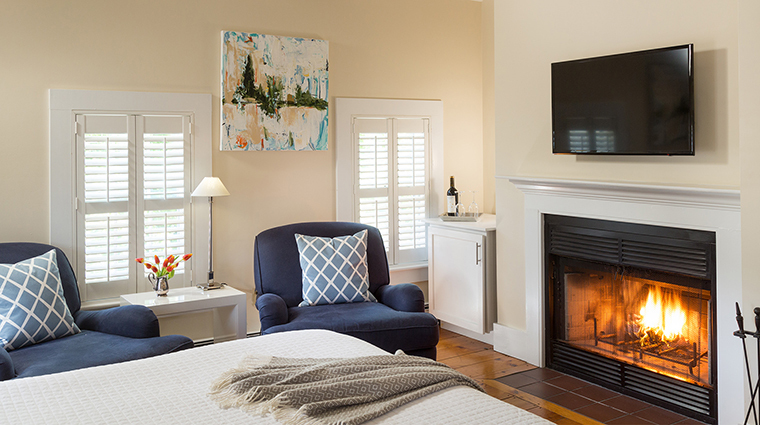 There is no shortage of places to enjoy a meal in this comfortable boutique hotel, including the dining room, the cozy wine bar or, when it’s nice out, the patio, which has a fire pit (you can even borrow fluffy blankets, if needed). Executive chef Christophe Letard updates the globally inspired, Cape Cod-influenced menu seasonally based on local availability. 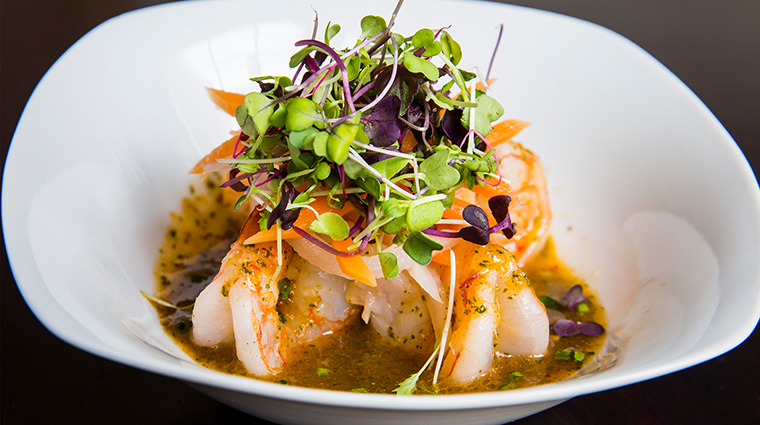 You might see dishes like Chatham lobster gnocchi, local seafood cioppino and Hudson Valley duck. 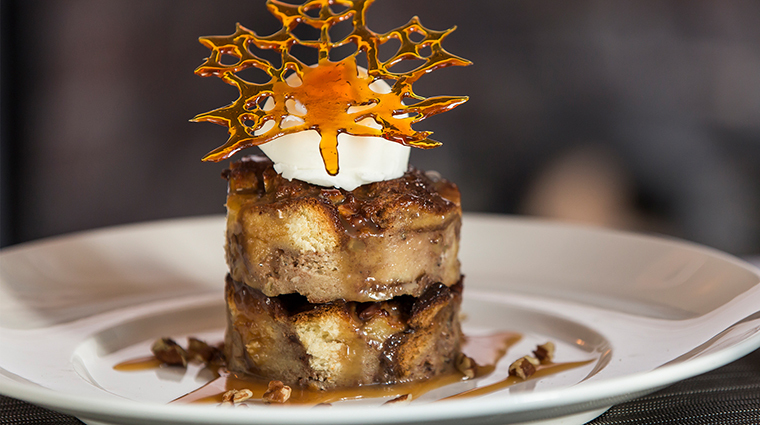 Sunday brunch is a meal to remember, with tempting selections like brioche French toast, a Chatham lobster omelet and house-cured corned beef. 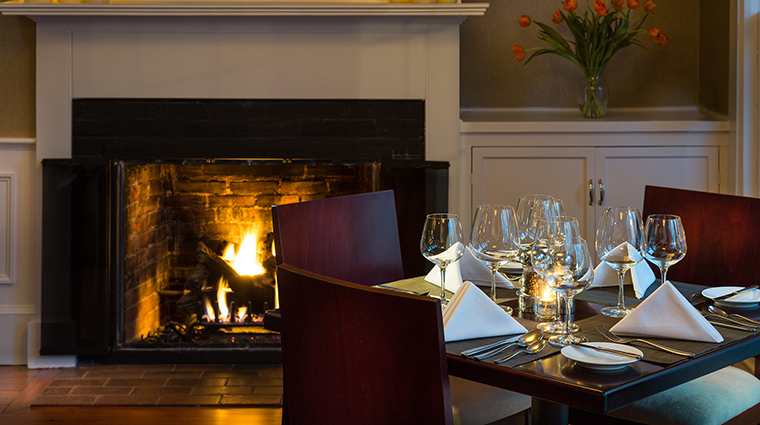 The Cape Cod inn offers a selection of New England artisanal cheeses that can be paired with a glass of vino at the wine bar or as part of an impressive charcuterie board served with house-made rosemary olive oil flatbread crisps, honey mustard and fresh seasonal berries.